It seems final: Netanyahu prefers Yuli Edelstein over Reuven Rivlin, and may already have told Rivlin so. Senior sources in the political establishment told Arutz Sheva Sunday that Knesset Speaker Reuven Rivlin will not continue in this capacity in the 19th Knesset. Instead, Prime Minister Binyamin Netanyahu intends to support the candidacy of Likud minister Yuli Edelstein. Rivlin was Speaker in the 16th and 18th Knessets. His demotion will probably also negatively affect his chance of becoming Israel's next president – a position he has reportedly been aspiring to hold. The decision on whom to present as Likud's candidate for Knesset Speaker will be made in a secret ballot vote by the Likud Knesset faction this week. According to Maariv, Netanyahu has already informed Rivlin of his decision. A source close to Edelstein told Arutz Sheva, "As of now, our situation is a good one. We are optimistic." "Edelstein never asked for the prime minister's support, but only asked that a proper contest over the position be held. 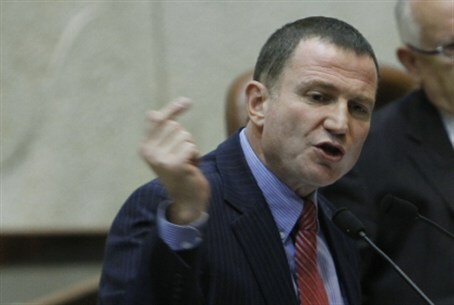 If there is a competition, Edelstein is expected to defeat Rivlin. If Rivlin removes his candidacy, the contest will be even easier," the source said somewhat humorously. Former Head of Yesha Council, Danny Dayan, protested the expected move and wrote on his Facebook page Sunday afternoon, that while "formally" Rivlin is not being sacked, "in terms of substance," he is. " Rivlin is popular but has also caused considerable anger and frustration in the nationalist camp on many occasions, especially when it appeared that he abstained from censuring Arab MKs over their provocative behavior.